Zack Snyder has been meeting with HBO to talk about a Watchmen TV series. Collider says that the meetings about adapting the DC Comics property have taken place, but unfortunately they don’t have any details as to whether this would be a prequel series, a re-imagining of the events of the Watchmen story itself, or a sequel series. While they know for a fact that meetings about a Watchmen TV series have taken place, nothing has been greenlit yet. 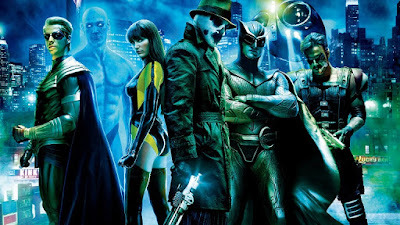 Watchmen is a 2009 American superhero film directed by Zack Snyder, based on the 1986–87 DC Comics limited series of the same name by Alan Moore and Dave Gibbons. It stars an ensemble cast of Malin Åkerman, Billy Crudup, Matthew Goode, Jackie Earle Haley, Jeffrey Dean Morgan, Carla Gugino, and Patrick Wilson. The film is set in an alternate history in the year 1985 at the height of the Cold War between the United States and the Soviet Union, as a group of mostly retired American superheroes investigates an apparent conspiracy against them and uncovers something even more grandiose and sinister, while their moral limitations are challenged by the complex nature of the circumstances.